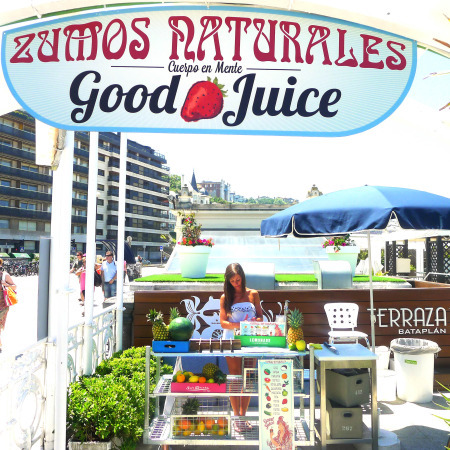 Orange juice may be ubiquituous in Spain and Basque Country, but that's about where the delicious fresh-squeezed innovation stops. American chef and Donostian by marriage Kevin Patricio has solved this problem, just in time for summer, with his new pushcart, Good Juice. They serve juices made from everything: mango, carrot, berries, even spinach. Or you can watch them take a huge knife to a young coconut for some fresh coconut water to sip through a straw. Refreshing.